Resuming Hospital Workplace Injuries: Here’s What You Should Know (Pt. 1), below, we’ll take a closer look at how hospital workers are most often getting hurt at work, as well as what the more common risk factors are for these injuries. Overexertion and “bodily reaction,” which accounts for nearly half of all hospital workplace injuries – These types of injuries specifically include the physical trauma sustained from lifting heavy objects, bending over and/or reaching for things. In most cases, overexertion injuries specifically stem from moving or handling patients. Slips, trips and falls, which comprise about 1 in every 4 hospital workplace injuries – Factors like pooled liquids, uneven flooring and/or poor weather conditions outside can all contribute to these types of injuries. Contact with objects, with results in about 13 percent of all hospital workplace injuries – In particular, these injuries can result from being struck by objects, being caught or crushed between them, etc. Violence, which accounts for about 9 percent of hospital workplace injuries – While workplace violence can be an issue in any professional setting, it can be especially problematic in hospitals, particularly when it comes to handling/interacting with patients who may be living with mental illness. Exposure to substances, which comprises about 4 percent of all hospital workplace injuries – These substances can include anything from others’ infectious diseases to potentially harmful chemicals used for cleaning, etc. 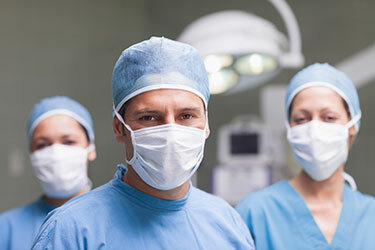 Aging – As hospital workers get older, they are generally more susceptible to infections and/or physical injuries. Obese patients – When larger patients need help moving, bathing, etc., hospital workers who have to lift/help these patients are more likely to sustain back and/or other musculoskeletal injuries. Violence among patients – It’s not uncommon for violence to erupt in hospitals, as patients may have mental health issues, be disoriented, etc. This can make hospital workers easy targets, particularly when providing care to patients one-on-one. Ethical duties – Health care workers often take their duty to “not harm” patients to heart. This can mean that, in some cases, these workers may end up compromising their own safety to avoid possibly inflicting harm on a given patient (or group of patients). Don’t miss the conclusion to this blog series for some crucial info about what can be done to better protect hospital health care workers and reduce the incidence of hospital workplace injuries. You can contact Denver Workers’ Compensation Lawyer Jennifer Bisset by calling (303) 894-8900to learn more about your rights and receive a professional evaluation of your case. You can also email our firm by using the contact form on the right side of this page.